Compared with years passed, it’s been a pretty good PR year for Redmond-based Microsoft. The Windows 8 Developer Preview was released to the public a lot earlier than previous iterations, and it seems potential consumers have been impressed by the dramatically faster booting times allied to the sleek Metro-tiled interface. Xbox 360, the company’s flagship games console, continues to go from strength to strength, having become the users’ choice in terms of units pushed through, as well as its live service also appearing to outshine rivaling Sony’s free PlayStation Network offering. 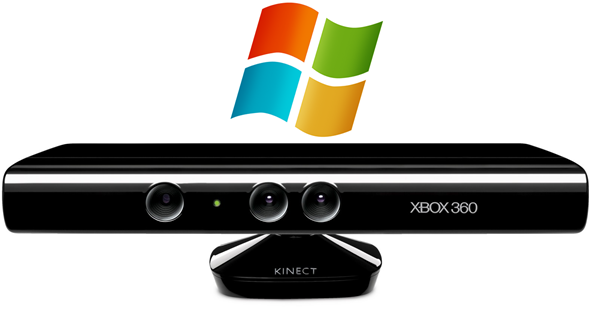 The Kinect, released just before the turn of the year, brought gaming to a new dimension, allowing 360 users to interact and immerse themselves in a way only previously seen by the rather family-orientated Wii from Nintendo. Nobody could have foreseen the scale of the Kinect’s success, which became the fastest selling gadget of all time – impressive when you consider some of the retro greats of the past 30 years. Although the Kinect has been hacked to oblivion by, well, developers and modders, for use with PC and other devices, it now appears Microsoft is embracing it’s successful gizmo for desktop use. Set to release sometime in 2012, the PC-specific model will house the ability to focus on objects as near as 50cm away from its lens, dramatically improving the current, oft non-participative Kinect, which doesn’t enjoy users getting within a few feet of it. The hardware will supposedly be “optimized” for the desktop, including – get this – a shorter USB cable. Seems as though Bill Gates and Co. have really been doing their homework, doesn’t it? On a more serious note, though, whilst Kinect for PC is all well and good, as any Apple Genius would vouch, desk space is at a premium a lot of the time, and those vital cubic centimeters required to use the Kinect could see the lamp, mouse, or worse – the coffee – fly off the desk. In conjunction with the talk of new hardware, Microsoft is also prepping commercial licenses for Kinect, enabling developers to sell commercial apps based on the SDK for the Windows iteration. Can the so-called “Kinect Effect“ really take hold at desktop level, or is Microsoft just throwing the idea against the wall and hoping it sticks? Leave your thoughts on our Facebook and Google+ pages!